Tasting Room hours: February 2019 for Presidents weekend (Saturday, Sunday & Monday); March (beginning March 2) through mid-December , Thursday through Sunday — 11am-5pm. WHITE WINE SALE: — Elemental Cellars 2014 Auxerrios, 2015 Viognier now $100 per case. SWEET SIGNE’: — Price reduced to $15 per bottle. Umm Good! Get your’s now!! Existing Witness Tree Wine Club member DISCOUNTS: 15% on bottle purchase or 20% on 12-bottles (case). DISCOUNTS for non-wine club members. SAVE….10% on 6-11 bottles and 15% on 12-bottles (case). No discounts on already discounted/reduced prices. First time ever the price on our ever popular Sweet Signe’ has been reduced. Get it now for $15 per bottle. Sweet Signe’ is made in the style of an ice wine whereby the grapes are commercially frozen rather than frozen on the vine. Made from the Chardonnay, Viognier and Pinot Blanc grapes. This is truly a delight! Elemental Cellars 2014 Auxerrios and Viognier — now $100 per case. Mix and match allowed. Get it now…price reduced. Now $240 per case. Last price was $300 per case. Currently at a special reduced unheard of price are our premium wines. Get your’s now at half price. Originally, $60/bottle – now $30. Half case only $150 (originally $330) or full case for $300 (originally $612). Included in the special price are the 2014 Benchmark and Claim No. 51. Get your’s now before they’re gone! Looking for that special 2005 magnum? Look no further. We’ve cracked open our Library of Wines and they are now available to you on line. Supplies are limited, so order now. Questions? Email or call us. Now available is our popular 2015 “Estate” Pinot Noir and Dolcetto “Remari”. Special — $100 per case price on Dolcetto (supplies limited). Order today online or visit our tasting room. Taste wine for free when you visit participating wineries by showing your Alaska Airlines Mileage Plan membership and in-bound boarding pass. Purchase a case of Oregon wine and check it free on your return Alaska Airlines flight. 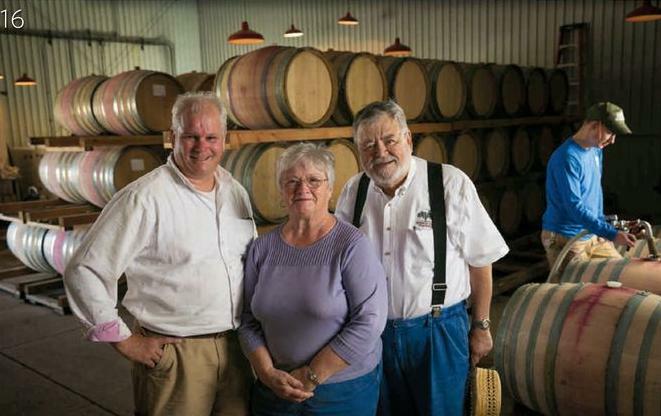 Oregon Wines fly free from Eugene, Medford, Portland, Redmond and Walla Walla. 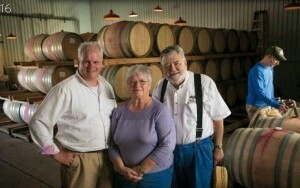 For complete information, visit www.oregonwinesflyfree.org. Visit our online order form to order our wines. If you live in a state where shipping is unavailable, please contact us directly either via email or phone.